In 2007 Murray Suisted from SOWERS New Zealand (INT02) visited DR Congo and met Emmanuel. He and others had been trained by Ken Rout in the early 1990's but political unrest meant it was unsafe for Ken to continue his work in that country. Murray called all of the former SOWERS together for a meeting to see if they saw a way forward with the work. Several men spoke of how they would like to see the work started and take some responsibility. However, as Murray went around the room of about 30 people and asked each one to share what they had done with their training over the intervening years, heads dropped one by one as they replied - nothing. Then it was Emmanuel's turn and he mentioned how he had used his limited training to start 40 house churches. His response was in stark contrast to all of the others. In 2012 SOWERS brought Emmanuel to NZ for six weeks of deputation. He was very well received wherever he went, Bible Schools, churches and home groups. He communicated very well and did not put his interests above others. Back in DRC he was aware of the terrible conditions in the local prisons so, as he was able, he would take food to the prisoners and share evangelical tracts with them and preach as he was able. During this time he noticed that the Pygmy population was despised and unreached so he made an effort to reach some of them with the Gospel and as a result a couple of churches were planted. He also noted that deaf folk are ignored by the government and despised by their own families and this weighed on his heart. 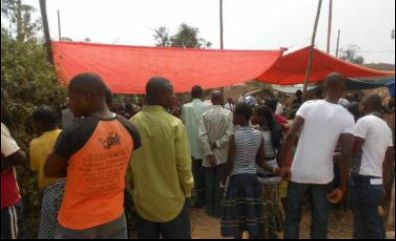 Emmanuel therefore studied and learned Sign Language and started evangelising these folk in Lubumbashi. As a result 2-3 deaf churches were planted. While he was encouraged by this he realised they were still greatly disadvantaged so he spent more time with them and helped develop them spiritually. In July 2013 diplomas were presented to 9 of the 10 people who had followed four years of spiritual and professional training at the centre Emmanuel oversees. Three of these folk were commissioned as missionaries to the deaf. The first couple were sent out in January 2014 and they have seen almost 60 people respond and come to the Lord so far. Three others were employed by the government while the remaining two work with their church. His involvement with the deaf has seen him translating for them on local TV on a regular basis. Last year Emmanuel helped his wife Carole establish a Women's Ministry to women, children, prisoners, the elderly and the sick. 18 women work with Carole in this ministry. 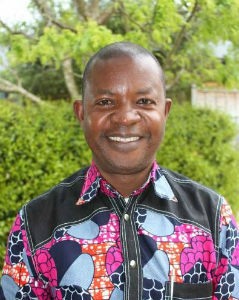 Emmanuel is now a Level 4 Sower and he has led the work in DRC since 2009. He is an entrepreneur and is a good multi-tasker. He trains people, he motivates, is an administrator and a visionary. However, above all he is a soul winner and he leads people to the Lord all of the time and not just when involved in SOWERS activities. In his report of activities for the first quarter of 2014, he speaks of 700 people who have responded to the Gospel and of those 700 over 250 are integrated into a local church. Bright Hope World has been partnering with SOWERS International in Africa (INT02) since 2002 and so we have a strong relationship with them. We have been really impressed with the quality of the people leading their programs, the very clear training process that has been established, the accurate data that is kept and reported, and the very large number of people who come to faith because of the training. Late in 2013 SOWERS approached us regarding the prospect of Bright Hope World financially supporting one of their key people and this support was commenced in mid 2014. The beneficiaries will be SOWERS International and Emmanuel and Carole. The support will be for them, but it will be used within the ministry. 3) Although they are primarily involved in Christian activity, there is a very practical, holistic approach to ministry. The current lack of resources does limit their ability to help the poor. 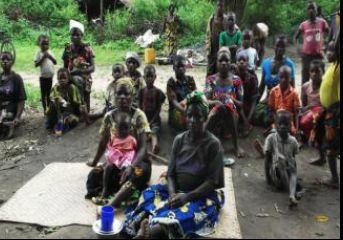 5) They are involved with some of the most vulnerable - deaf, pygmies etc. "I am married to Carole and we have five children of our own and we also adopted two orphans. I was personally touched by the gospel on 24th December 1972. One year after my conversion, on January 1st 1974 I was baptised. In 1986 I went to a Bible institute for pastoral training for three years. In 1990 my heart was opened to follow the training of SOWERS International. I was in a group of about a hundred people who were the first to be trained by Ken Rout. I was then chosen with three other brothers to go to Zambia to be trained at Levels 2, 3 and 4 of the SOWERS program. Of those who travelled to Zambia, I am the only one who has continued to Level 4. That same year the Lord gave me the responsibility to take care of Christian literature (books, Bible studies, tracts etc) as an effective means of evangelization and establishing new Christians in their faith. That ministry continues today. With the SOWERS program, the Lord has not only allowed me to train evangelists in different communities but also to plant 40 churches in the DR Congo. 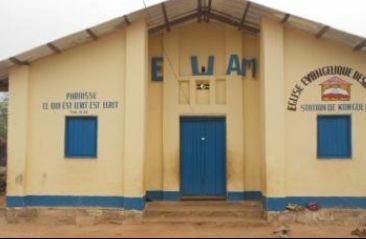 These churches are primarily those of my Christian community (EVAM Eglise Evangïlique des Maisons or Evangelical House Churches) that began without the help of anyone except the Lord himself. Today I am pleased that this same method has enabled me to open independent churches among the deaf (I have learned sign language) and the Pygmies of the Katanga province. Recently I started a program training deaf evangelists and late last year the first couple were commissioned. Tshibala Mabanda Detshi and his wife Mimi Dianda have had the joy of leading 58 deaf people to the Lord. Other deaf evangelists are being sent out to other regions. I am just an instrument that God uses to bring the Gospel of salvation to all through SOWERS International and the use of Christian literature. Besides that, I also help those who are marginalized and forgotten by society to know the Lord and have the dignity that all men deserve." The vision is to grow SOWERS within the DRC to a point where it is sustainable, until it reaches critical numbers of people involved. This will take time with the issues the DRC faces. Strategy: A major part of the reason for supporting Emmanuel is so he can develop self generating projects based on small scale agriculture and businesses. He has already planted a number of gardens and has involved others in this. The annual budget here is US$2,640.